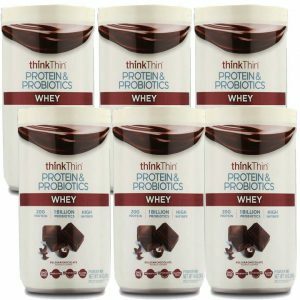 6 PACK thinkThin Protein & Probiotics Whey – Belgian Chocolate – 14oz Each – 5.25 total pounds for only $39.49 shipped! Get your protein and probiotics at the same time This high grade protein is $14.99 each on Amazon ($49.99 for 6pk), but here’s it’s just $6.58 each delivered! Best By date of May 2019.